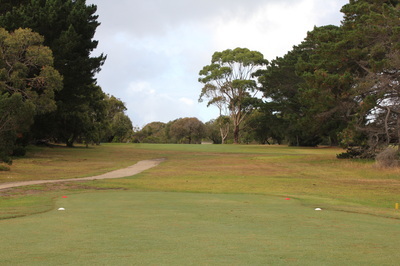 A cluster of gums is directly in sight, a tee shot perfectly placed right of this will leave you about 120 meters to a bunker guarded green. 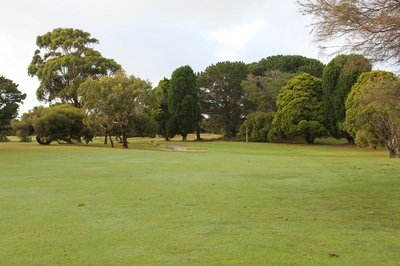 Anything right of this green will give you an easy chip or pitch should you miss. Bigger hitters can chose to take on the cluster of trees and leave themselves only a short pitch. 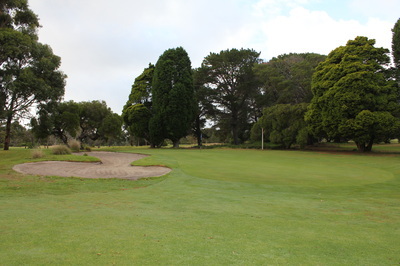 This green is very sloped back-to-front and left-to-right, so try to always be below the hole on your approach and being in the bunker makes for a difficult shot with the green sloping away from you severely.